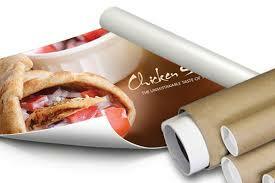 Engage Your Customers Physically Through Printed Promotional Materials! Everybody is focused on the Internet these days. From marketers to sellers and consumers themselves, there is more and more attention towards the Web, and this has created entire new industry segments. It’s important to keep your eyes on the more traditional methods though, as losing track of them can be disastrous in the long run. It’s true that the Internet is great for promoting your business, but there is still a lot of potential to be realized in physical marketing, and printed media is one of the best ways to get noticed. You’ve probably seen a good deal of flyers and small brochures on your way to work and back as recently as today, and this type of advertising is not going to lose its popularity anytime soon. As long as you do it in a tasteful and calculated way, promoting your business through small handouts can be a great way to get people to notice you. The most important consideration to make is that you should not be too annoying. 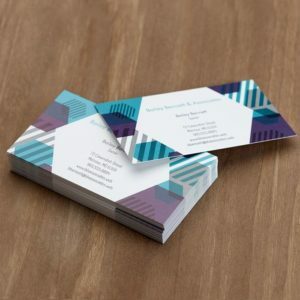 Nothing says that you’re confident in your business better than your own custom-made business card, and they can be surprisingly affordable nowadays too. You’ll be amazed at the variety of options you’ll have for the paper, printing style, and even the shape of the card – people have recently started to sort of reinvent this classic promotional tool and we’ve seen some great implementations. Nobody is stopping you from trying out a crazy idea of your own either! A good poster is something that can always draw a lot of attention to the right spot, and this particular promotional tool will probably never go out of fashion. As long as there are blank walls around us, people will want to use them for promotion, and it seems like a majority of those walking down your average street enjoy taking a glance at the new posters around them too. No matter what kind of promotional materials you’re going to use to get your business out there, it’s critical that they are printed by a company that understands this business on a deep level. Let us show you how working with the best printer in NYC can help you see amazing results from your campaigns, and what you might have been missing out on by working with low-grade printers so far. The difference is a phone call away!